Made in the USA, snap lock trade show flooring is a portable and top-quality option for trade shows and exhibition marketing. 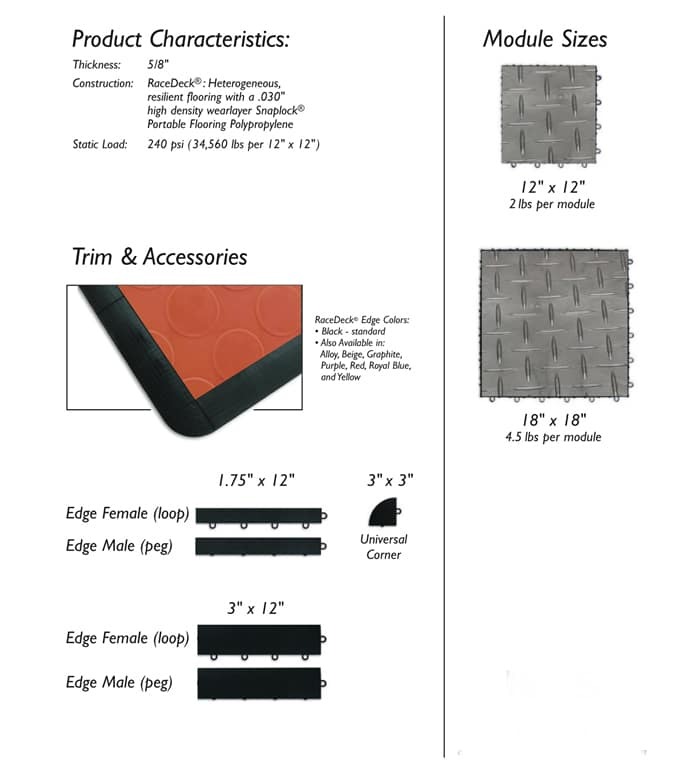 This interlocking trade show flooring option is modular and comes in trade show specific sizes. 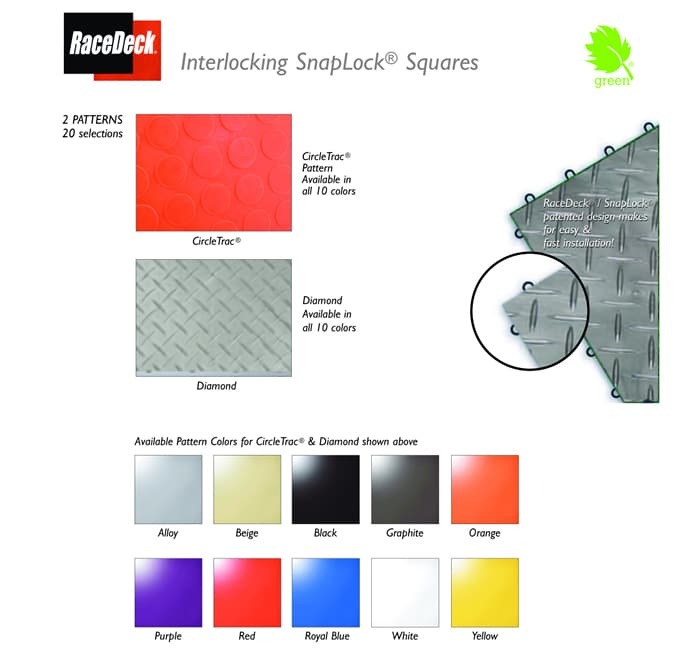 With two styles to choose from as well as 10 unique colors, Snap Lock flooring is convenient and perfect for conventions, conferences as well as hotels, retail shops and garages. This lightweight flooring is easy to transport and store as well as install. 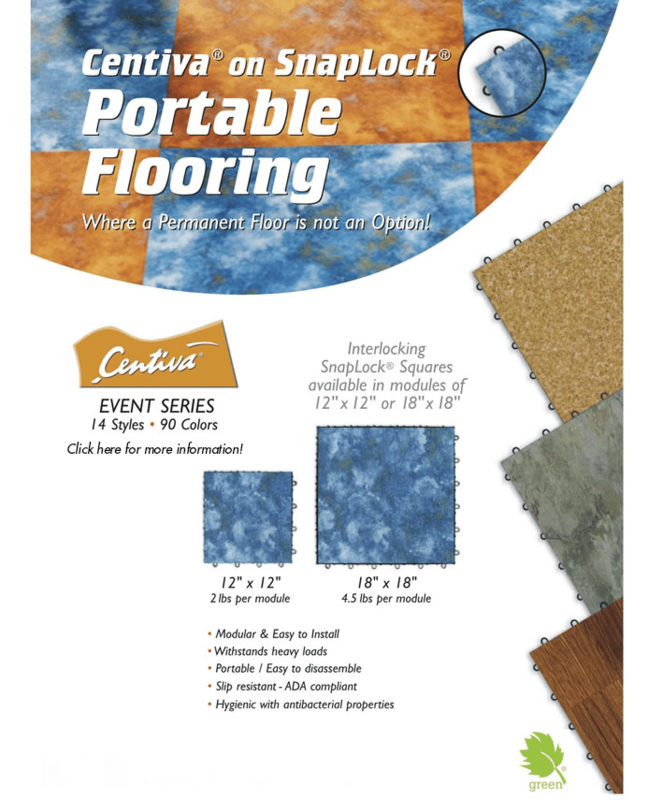 The durable tiles simply snap together to create an upscale floor for your event. Snap Lock flooring is designed for high-traffic areas such as at an exhibit. It is also easy to clean and maintain and can withstands heavy loads, so you don’t have to worry about creases, dents or tears. It is portable and easy to disassemble too. This slip-resistant flooring is also ADA compliant. Talk about convenient! No tools are required for installation. This commercial-grade trade show flooring is perfect for both indoor and outdoor use as it is 100% waterproof. It is also comfortable in terms of anti-fatigue flooring and makes it easier for you, your staff and attendees to stand on for long periods of time (oftentimes after standing on concrete for hours). When you’re looking for strong, top-quality flooring for your exhibit, always take time to find high-quality products made of top-notch materials that will last for a long time. Choose flooring that is easy to install and disassemble, store and transport to and from events. For more information on Snap Lock trade show flooring and how it can impress attendees, contact our professional team at Capital Exhibits today!